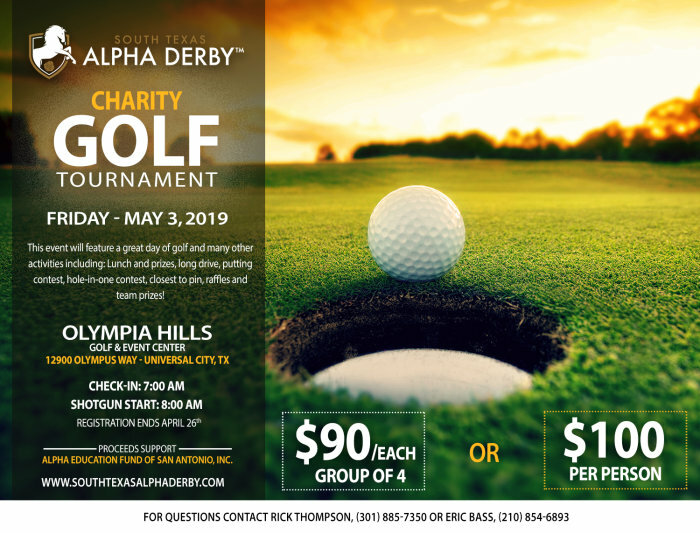 The San Antonio Alpha’s “South Texas Alpha Derby Golf Tournament” committee is hosting this charity golf tournament as an opportunity for individuals to participate in a prestigious but fun activity at an outstanding golf course, Olympia Hills Golf Club in Universal City, Texas. 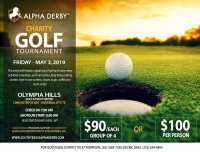 We invite you and/or your organization to participate in our golf event. For your enjoyment we included in this tournament; golfing, putting, long drive, closest to the pin, and more. Join us in this fun-filled day of golf and help make a difference in our youth and the community.